How to Diagnose and Treat 7 Types of ADD in Miami. Attention Deficit Disorder (ADD) is also known as Attention Deficit Hyperactivity Disorder and affects as much as 10% of the population. Once thought to be a disorder than only affects children, it’s now a widely-accepted fact that adults can also suffer from ADHD. However, relatively new findings show that ADHD is not a one-size-fits-all diagnosis. In fact, there are now seven types of ADD categories that have helped to further define this disorder and provide the appropriate treatment for each. To schedule your ADD treatment in Miami schedule an appointment at ADD Clinic in Miami here. Classic ADD is how most people think of the disorder. It’s characterized by distractibility, poor impulse control, disorganized thinking, and an inability to concentrate. Those who have Classic ADD are often hyperactive and have decreased brain activity when they must concentrate on tasks. The cause of Classic ADD is a dopamine deficiency in the brain caused by decreased blood flow to the prefrontal cortex and cerebellum. This type of ADD is normally treated with stimulant medications such as Adderall, Concerta, or Ritalin to encourage the brain to produce more dopamine. Natural treatments like increased exercise, green tea, and adding the amino acid L-tyrosine to the diet can also be helpful. 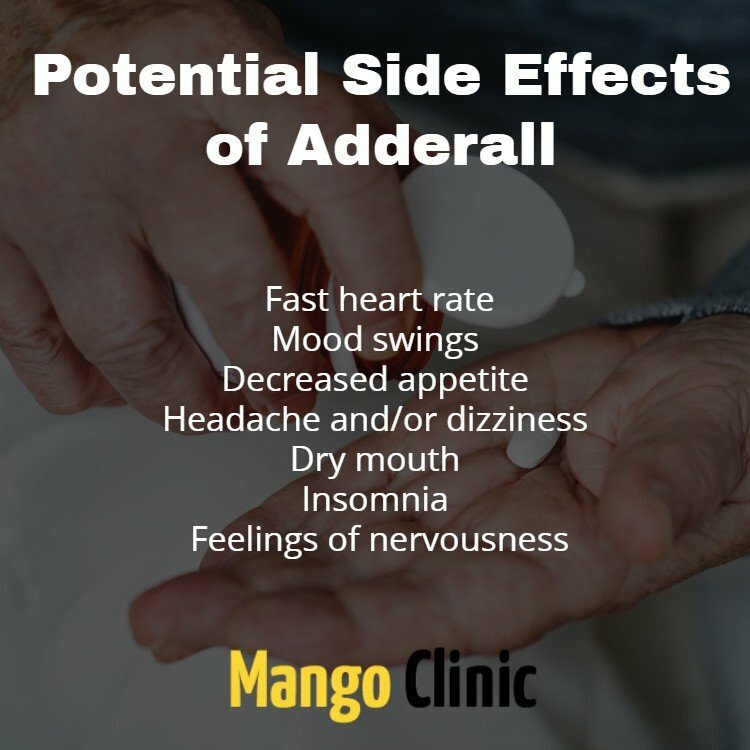 Visit Mango ADD Clinic in Miami to consult with a professional ADD doctor before taking Adderall. Those with Anxious ADD have all the symptoms of Classic ADD but with the added physical symptoms of headaches and stomachaches as well as anxiety and tension. This is thought to be caused by high activity in the basil ganglia as opposed to low activity that is present in Classic ADD. Treatments for Anxious ADD revolve around promoting relaxation as well as increasing dopamine and GABA (gamma-aminobutryic acid) levels. Normal ADD stimulants may cause more anxiety in those with this type of ADD, so milder treatments such as L-theanine, magnesium, and holy basil are usually the first treatments tried. If these don’t work, tricyclic antidepressants may be implemented as well as Neurofeedback methods to calm the sufferers’ prefrontal cortex. ADD diagnosis needed before taking medications. Temporal Lobe ADD has all the symptoms of Classic ADD but those who suffer from it also experience learning and memory problems. They may also have behavioral issues such as aggression and paranoia. Decreased activity in the prefrontal cortex and abnormalities in the temporal lobe are the culprits in this type of ADD and effective treatments include GABA supplements, magnesium, anti-convulsants to help stabilize mood, and gingko biloba to assist with memory problems. 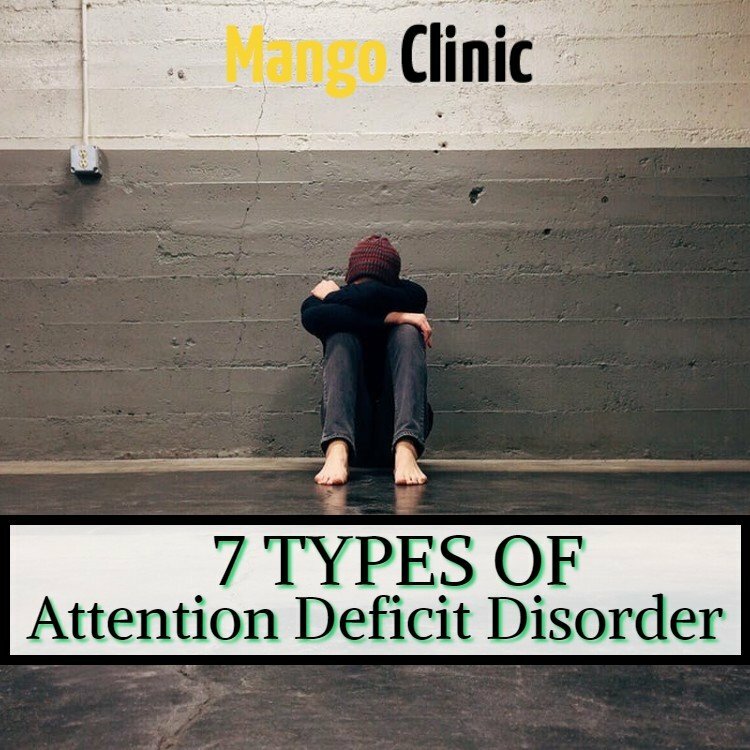 At Mango ADD Clinic in Miami, our doctors can help with this type of ADD. Schedule an appointment now. Chronic, low-level sadness is added into the mix with Classic ADD symptoms in Limbic ADD. Though not categorized as depression, those with Limbic ADD often have low energy, feelings of excessive guilt, and low self-esteem. This type of ADD is caused by too much activity in the limbic part of the brain and decreased activity in the prefrontal cortex. It’s typically treated with supplements such as L-tryosine, SAMe, or, if those fail, anti-depressants like Wellbutrin. The Inattentive ADD type is similar to the Classic ADD type and those who suffer from it have short attention spans, are easily distracted, commonly procrastinate, and may be disorganized. Unlike Classic ADD, there is no hyperactivity or impulsiveness involved and it affects females and males equally. A dopamine deficiency and low prefrontal cortex activity are the causes and the disorder can be treated with stimulants such as Adderall or Concerta, with amino acids, or by increased exercise and a low-carbohydrate diet. Those with Over-Focused ADD have the Classic ADD symptoms in addition to getting stuck in negative thought patterns or behaviors and difficulty shifting attention or tasks. Seratonin and dopamine deficiencies are behind this type, as well as over-activity in the anterior cingulate gyrus. Treatments for Over-Focused ADD range from supplements such as 5-HTP and L-tryptophan, the natural nutrient inositol, or, if symptoms persist, anti-depressants that can include Cymbalta, and Effexor. Also known as ADD plus, Ring of Fire ADD can cause sufferers to act out with mean or unpredictable behavior. Those with this type of ADD can also display fearfulness or anxiety and be sensitive to noise, touch, or light. It’s caused by a ring of hyperactivity around the brain (hence the name) and is normally treated with an elimination diet to treat possible food allergies. If medications are needed, they usually fall into the supplement category or, if needed, anticonvulsants or blood pressure drugs that can calm hyperactivity. It’s important to note that not all cases of ADD are alike. By knowing what type you suffer from you can get the help you need from a professional. To schedule an appointment with an ADD doctor who can diagnose and treat your ADD, please call our Miami office at (305) 776-2898 or click to schedule your appointment here.